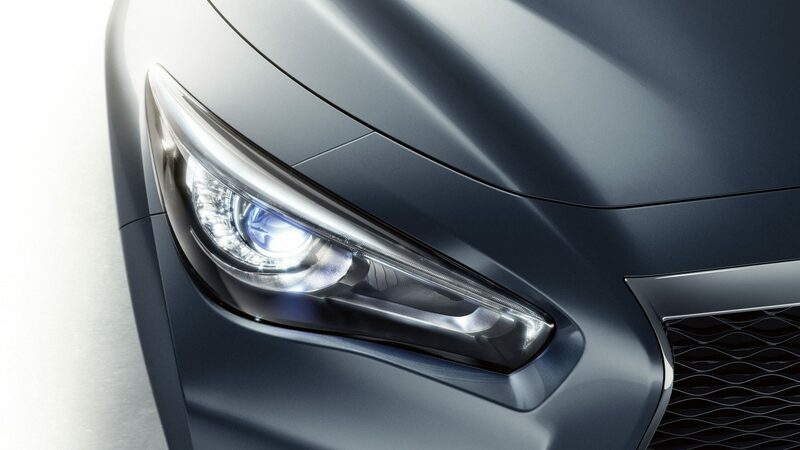 Change the way you look at the outside and you change the way you feel on the inside. 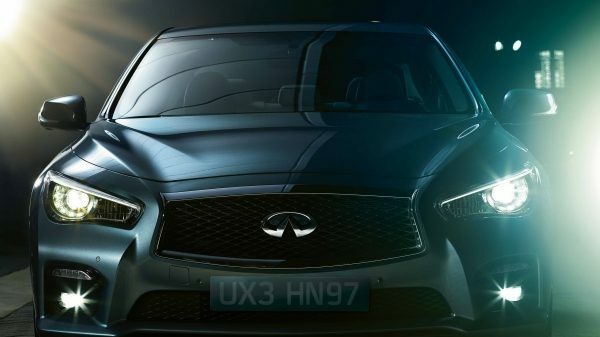 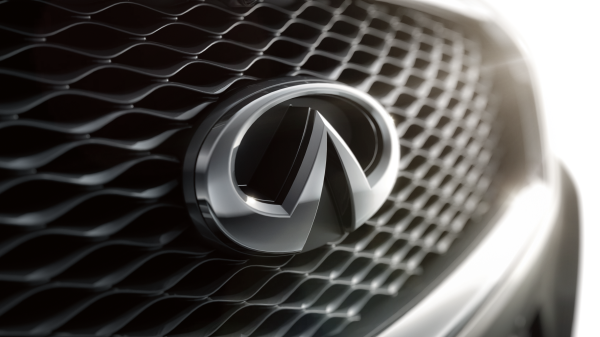 A distinctive double-arch grille set with three-dimensional waved mesh gives the Q50 a commanding presence on the road. 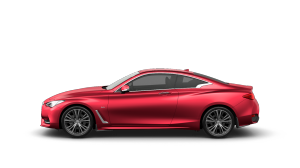 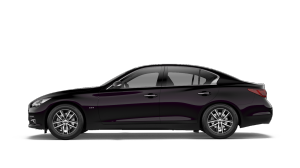 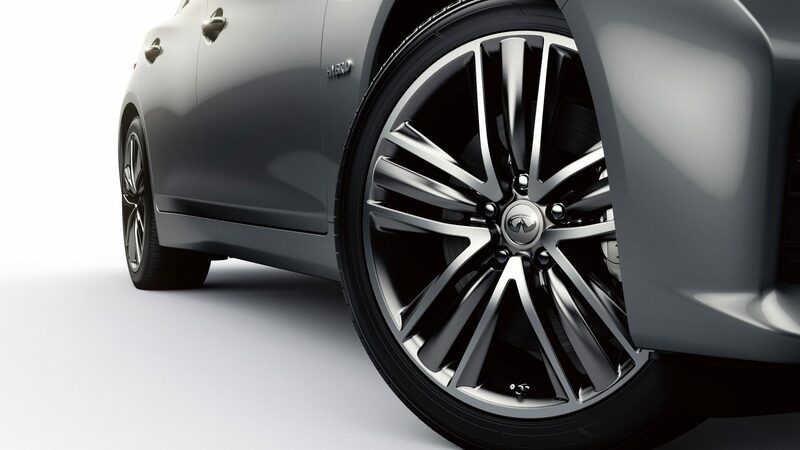 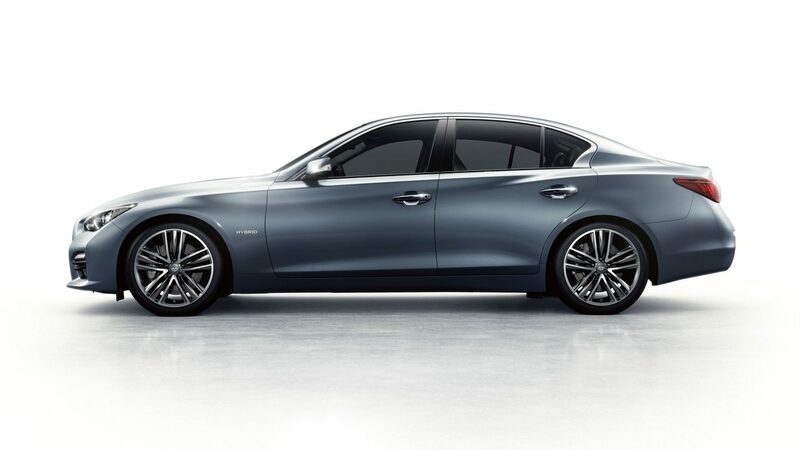 As your eyes follow the sleek line of the INFINITI Q50's exterior you'll discover a crescent shape that conveys a sense of both strength and elegance. 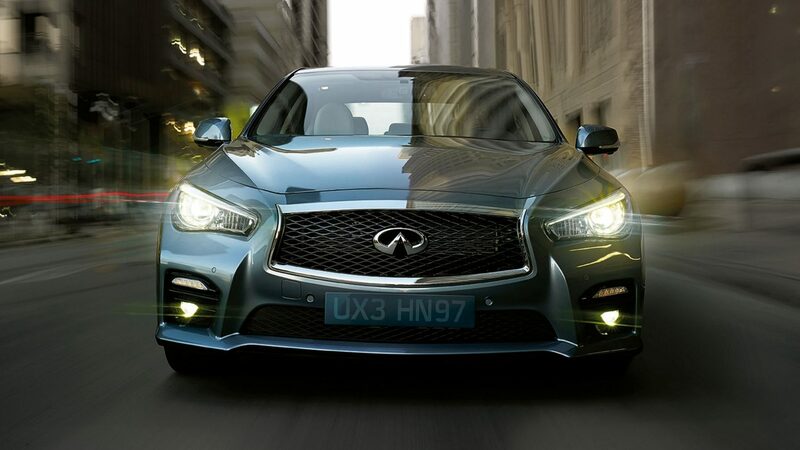 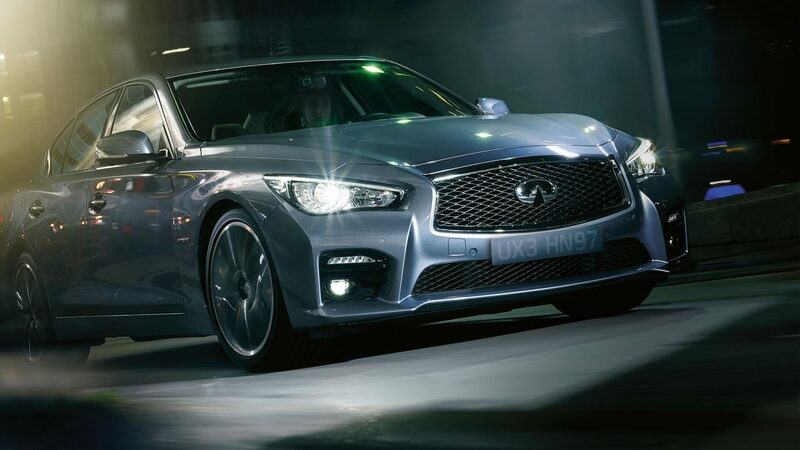 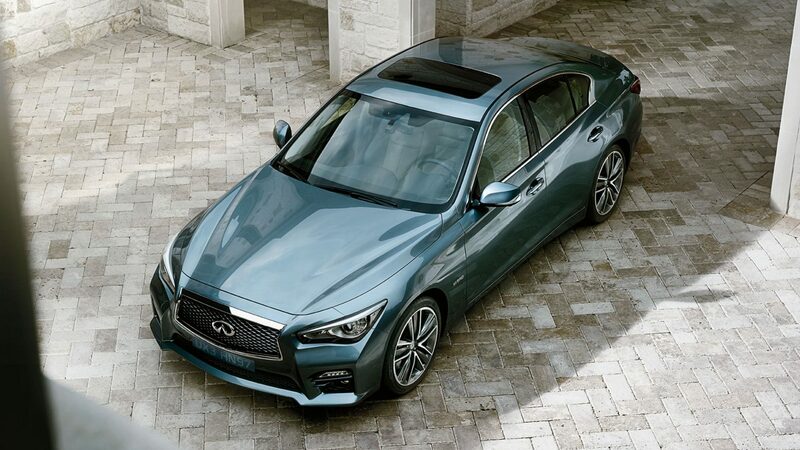 The Q50's double-wave hood rises to meet the elevated front fender, to create a truly dynamic impression. 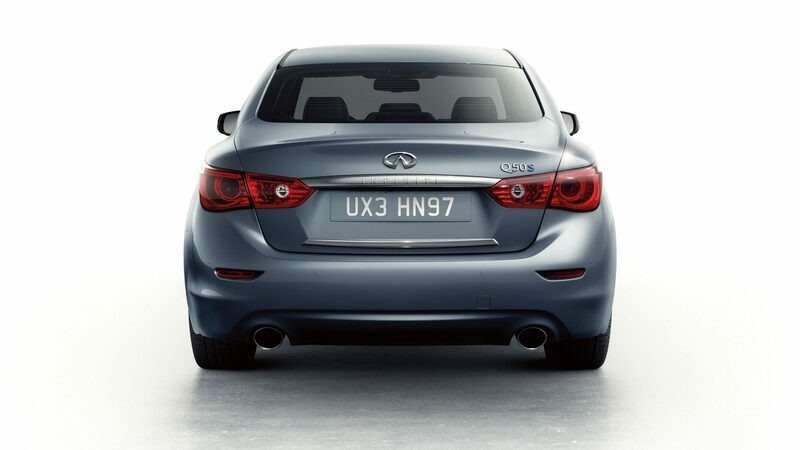 Available as standard on all powertrains, including the 4-cylinder version, the double exhaust visually demonstrates the power and performance of the Q50 and produces a richer sound that will stir the emotions. 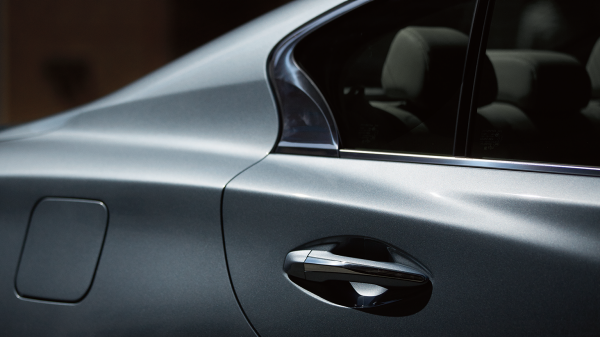 With a different perspective, you can unlock new experiences and discover fresh combinations of ideas. 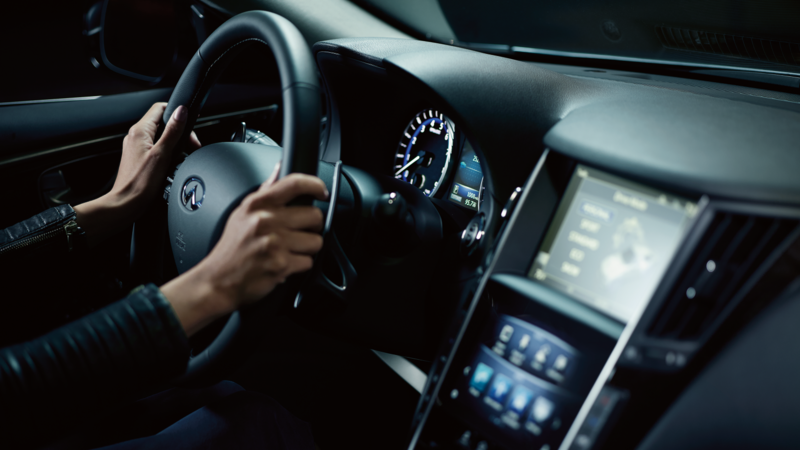 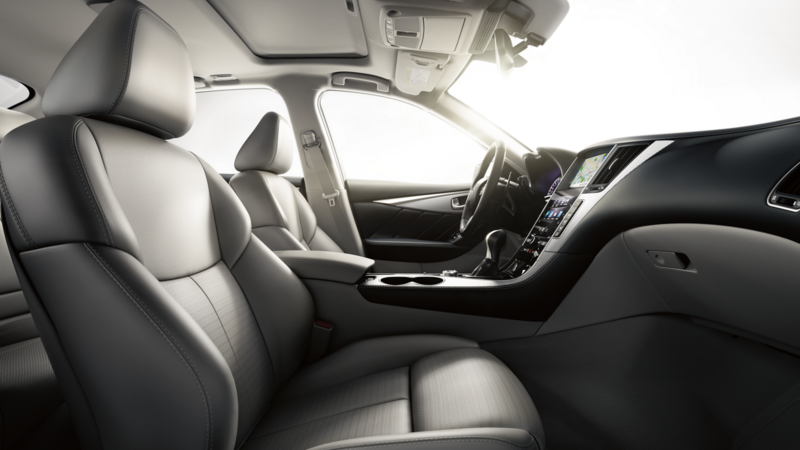 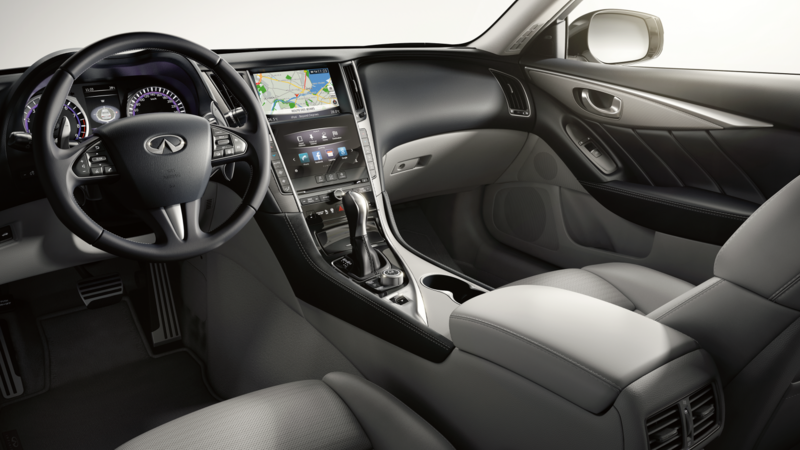 Every element of the Q50’s interior is ergonomically designed to ensure complete comfort for both driver and passengers. 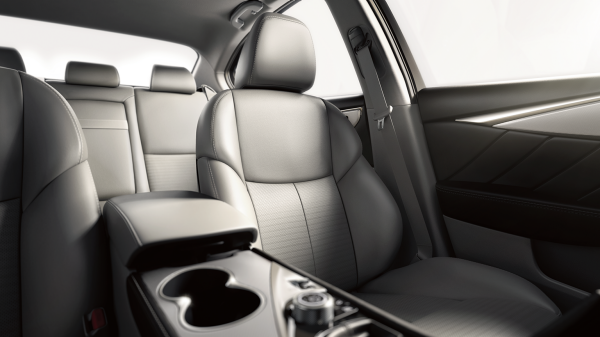 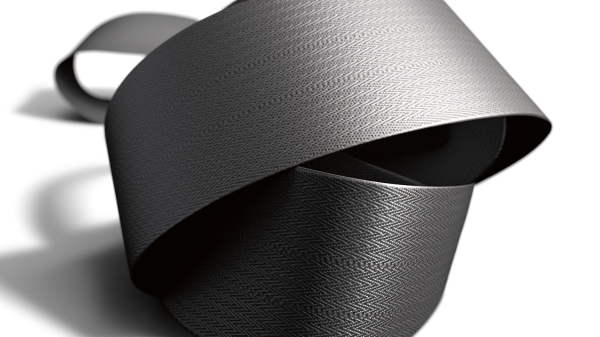 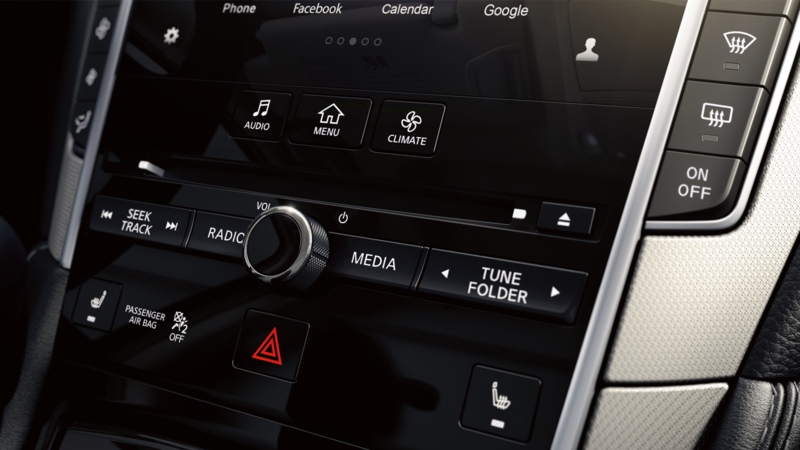 Specially-crafted leather is used throughout the INFINITI Q50, so that every surface offers the perfect combination of tension and texture for a feeling of pure luxury. 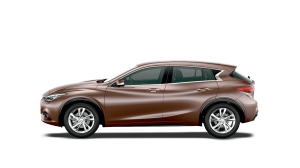 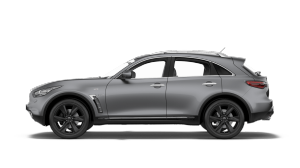 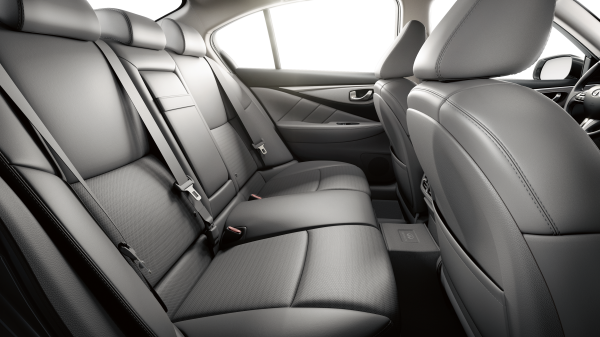 With folding rear seats, you can quickly increase the abundant luggage space to cater for larger loads. 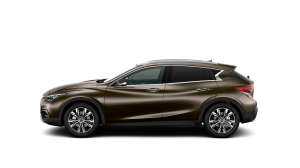 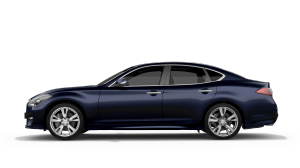 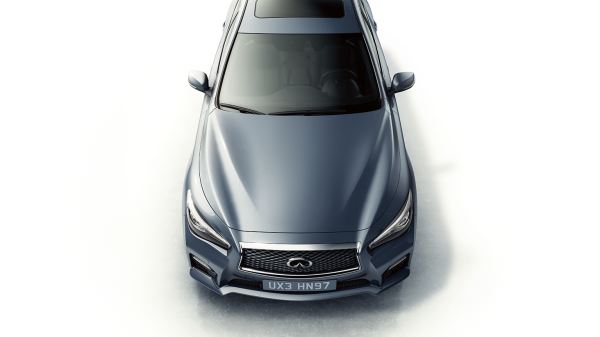 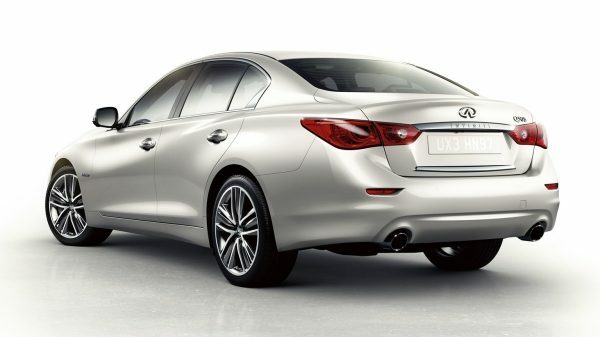 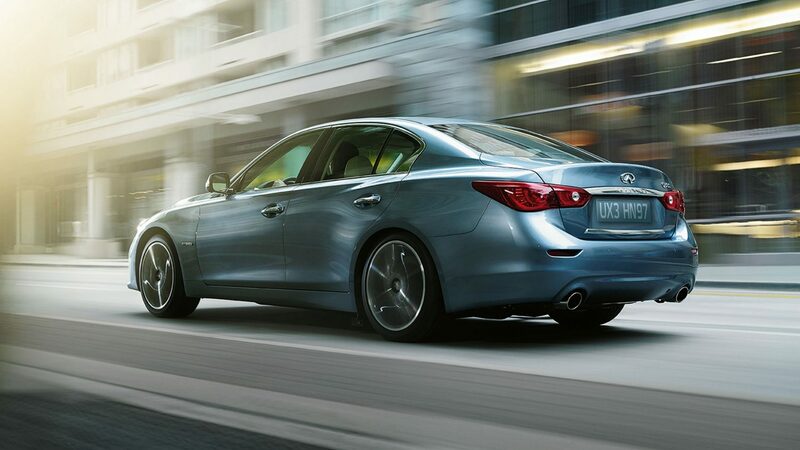 And with non-hybrid models benefiting from an internal ski hatch, the Q50 is designed to be adaptable to your needs. 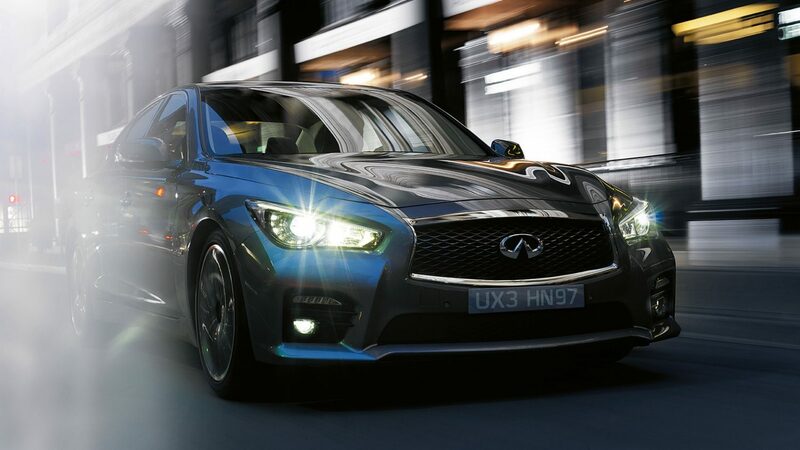 Inspired by timeless Japanese artistry, the Q50’s Kacchu aluminium finishes emulate the lightweight armour of the Samurai. 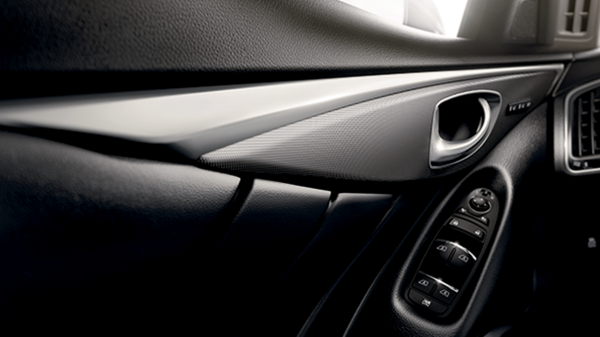 Its maple wood trim, meanwhile, uses the Japanese ‘urushi’ technique where the wood is polished layer upon layer to ensure it has a real depth and sheen.